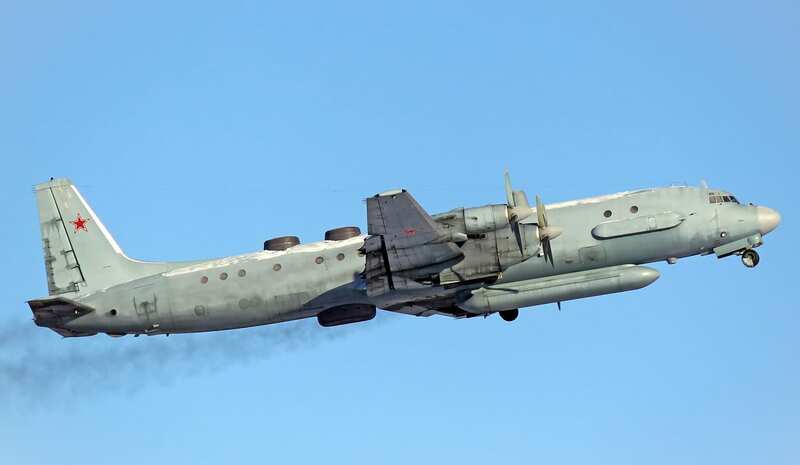 A Russian military Il-20 aircraft has vanished during an attack by four Israeli jets on Syria’s Latakia province, according to the Russian Defense Minister. Russian Air traffic controllers at the Khmeimim Air Base claimed to have ‘lost contact’ with the military aircraft late on Monday evening, during the attack of Israeli F-16 fighters on Latakia, said the Russian MOD. The plane was 35 kilometers off the coast of Syria when it went missing. Fourteen people were on board the plane at the time of the disappearance. A search and rescue mission is underway. In a frantic evening the Russian radar system also detecting the launch of missiles from a French frigate from the Mediterranean sea. Israel claims it has the right to launch attacks into Syria, under the guise of self defense and aimed at targeting pro-Iranian targets. Earlier this month the IDF acknowledged to hitting at least 202 “Iranian targets” in the country. Thus far, Israel has launched 792 bombs and missiles at Syria since 2017. The Russian military said it recorded four F-16 Israeli jets over Syrian airspace, specifically during the time of the attack on Latakia. the IDF has refused to comment on the report. Syrian officials said the attack was “foreign” and came “from the sea,- but thus far have not identified Israel as the culprit. The Ilyushin 20 (IL-20) is a surveillance plane which is used to collect data and is used to record attacks and events in times of conflict. Some analysts believe the Israel destroyed the aircraft in order to foil any records of the Israeli attack. #Israel Shot Down the #Russia-n Jet, afterwards Russia S400 attempted to shoot an Israeli F16. All US claims it was #Syria are false. Syrian air defence systems are all Russian made, Russian aircraft appear as 'friendlies' on the radar system' it would never hit a Russian plane. An investigation is underway as Russia aims to determine the cause of missing surveillance plane carrying 14 military personnel. US Media and a US official with knowledge of the incident was quick to report this as as Syrian mistake rather than an Israeli one.